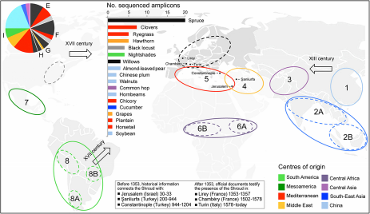 Home > News & Views	> Numerous Plant Species and Human Lineages Identified. Now What? Numerous Plant Species and Human Lineages Identified. Now What? Have you taken a careful look at the two color-coded charts from the Nature paper? Now what? I don’t know. I think this paragraph from the paper, Uncovering the sources of DNA found on the Turin Shroud helps somewhat. DNA extracted from dust particles that were vacuumed from the Turin Shroud shows sequence profiles that identify numerous plant species and correspond to several distinct human mtDNA haplogroups. These results not only confirm that plant fibers and pollen grains are present on TS, as previously reported by optical microscopy, but also reveal that multiple human individuals touched or otherwise left traces of their DNA on the relic linen. The detection of such a variety of DNA sources is extremely valuable in assessing whether there are possible parallelisms between the areas of origin and distribution of identified land plant species and human mtDNA haplogroups and the temporal and spatial paths associated with the two alternative scenarios that have been proposed to explain the TS origin. Is there more that we can know or assume from this data? Click on each of these charts for bigger, easier to read versions. 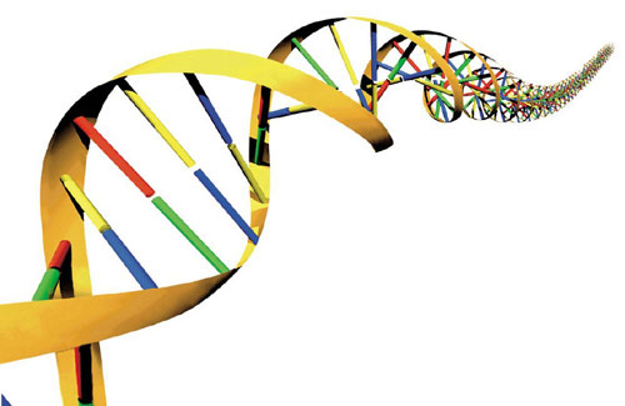 The value of this paper is not in its conclusions, which are so catholic as to admit of almost any place or time from which the Shroud may have originated, but in the fact that DNA analysis of very small particles is now possible and has been carried out. Fairly arbitrary scoopings of dust mean that these findings are painted with a pretty broad brush, but the concept is precise and a useful analytical tool. Incidentally, for the scientists among our readers, I thoroughly recommend downloading the ‘Supplementary Material’ which can be found after the Acknowledgements, which adds a good deal more information. Of the pollen, of course, only two or three of the two dozen or so species listed in this paper coincide with anything discovered by previous palynologists. Where is the Gundelia which made up a third of the previous assemblages? Where the “continuous carpet” of Matricaria or Anthemis of Avinoam Danin? Where the Carduus, the Helicrysum, or Scheuermann’s Chrysanthemum? I do not know how accurate the DNA analysis might be, but for such a small quantity of known plant material found on the Shroud itself to end up in the hooverings implies that all the rest of it is exogenous. It has only been in the last few years that the Shroud/cloth has been in a protected status behind glass and strict handling rules. Before that time it has been open to anything in the air, on the surface of where it may have been lain, unknown number of hands that were moving, opening or folding closed – in other words, about 2,000 years of unsanitary conditions. A bad example would be if an astronaut who had done a moon walk brought back and uncleansed space suit and opened it up around the shroud, it is possible that a very small amount of real moon dust could be found on the Shroud. the DNA of Aboriginal Australians …. imply anything about the authenticity of the two relics! of “genetic traces” and extraneous to that dead Man.